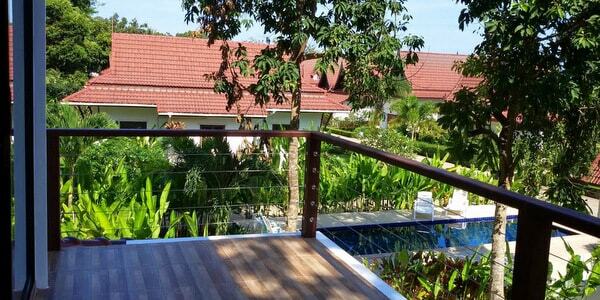 Located on the secluded Koh Chang east coast, this stylish modern house with oceanview is available now for immediate sale. 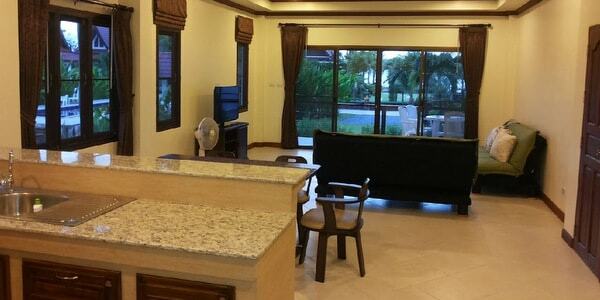 The tiled-floor, fully a/c property is built over two floors, with 3 bedrooms, 2 bathrooms, living room and kitchen. Entering the house through a simple raised terrace, you step into the living room with the open-plan kitchen at the rear. Off this area, you’ll find one bedroom with ensuite bathroom. Heading upstairs from the back staircase, the master bedroom has its own terrace area as well as ensuite bathroom. The 3rd bedroom is also on this floor with access to the same bathroom. Each bedroom has king size beds, whilst there are also 2 sofas beds in the living room. The kitchen comes with hob and fridge freezer. The house sits in a small housing development of just 18 properties with a private beach. The community swimming pool is just metres away for this property. The house, which sits on full Chanote title deed land, also represents an excellent turnkey holiday let business. 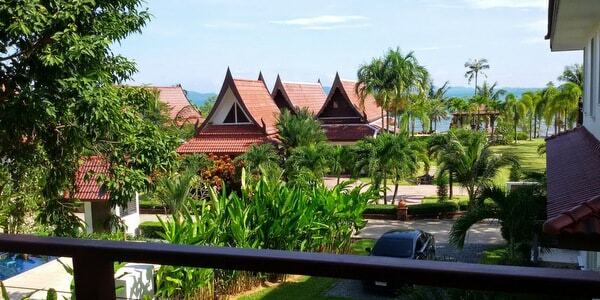 Already listed with tripadvisor and Airbnb, it can provide a very healthy income stream in the months when not being used for your own luxurious getaway. There is a management service available.